How does this affect the Eagles? 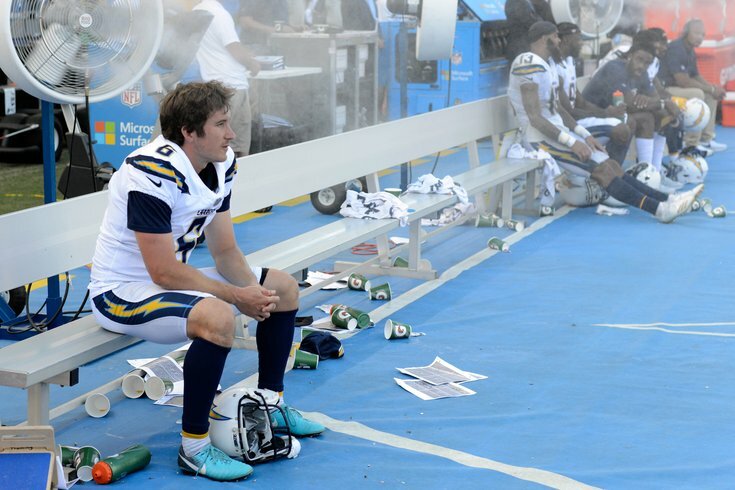 Well, Sturgis signed with the Chargers as an unrestricted free agent during the offseason, and he would have counted toward the compensatory pick formula if he had remained on their roster for just one more week, likely earning the Birds an extra seventh-round pick in the 2019 NFL Draft. 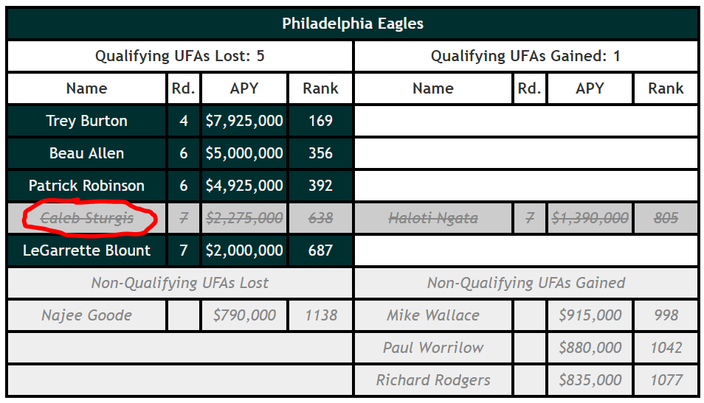 A simple explanation of the not-yet-updated chart above is that the Eagles were in line for four compensatory picks in the 2019 NFL Draft for the losses of Trey Burton, Beau Allen, Patrick Robinson, and LeGarrette Blount. Sturgis was cancelling out the gain of Haloti Ngata in free agency. With Sturgis no longer counting toward the comp pick formula, Ngata will now cancel out Blount instead, leaving the Eagles with just three compensatory picks, which OverTheCap.com will likely project to be in the fourth-, sixth- and sixth-rounds once the dust settles on this tragedy. Seventh-round Sturgis comp pick, you're gone, but not forgotten.